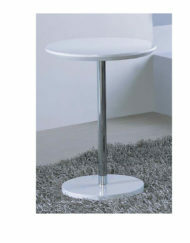 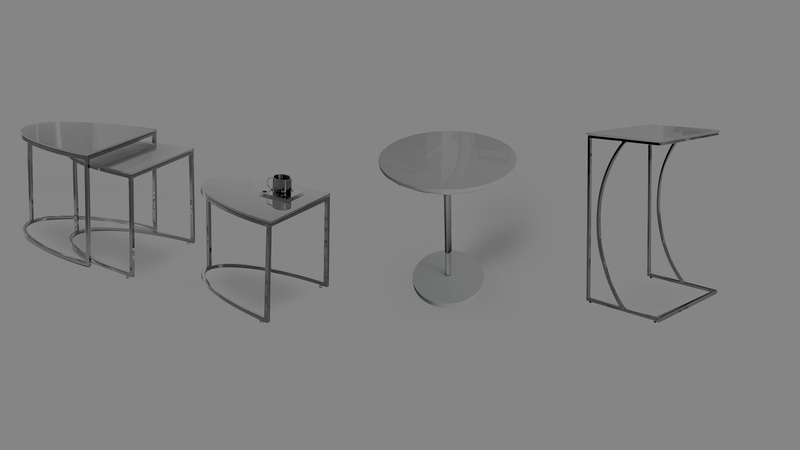 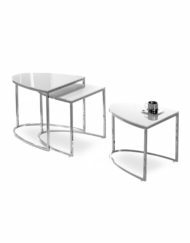 Stylish and functional accent side tables that can be used as a decorative furniture in your living room or perfect bedside tables. 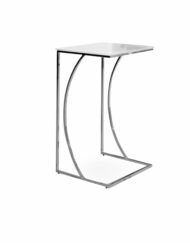 The traditionally round-bedside table is now used in living room spaces for your coffee, lamp or book or as a small working surface when you sit in your lounge and need to put your laptop somewhere in close working proximity besides your lap! 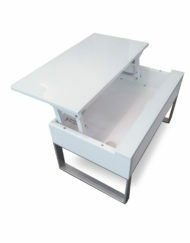 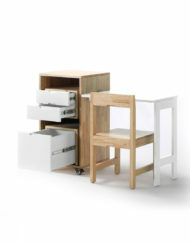 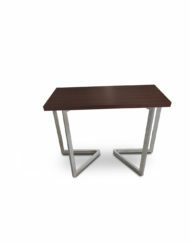 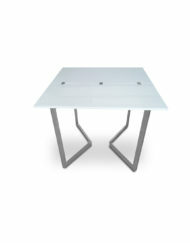 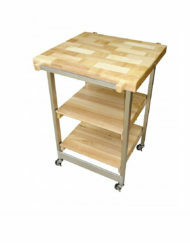 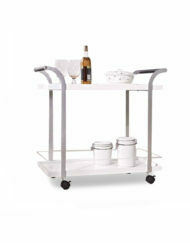 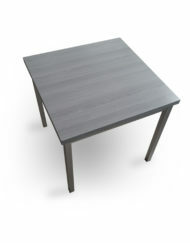 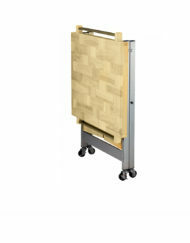 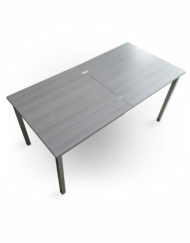 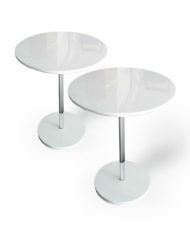 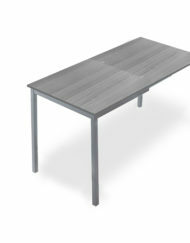 Check out the variety of single tables as well as sets and even nesting table options in duos and trios. 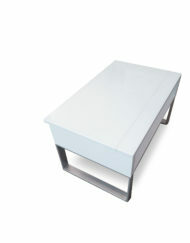 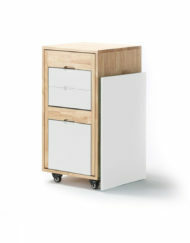 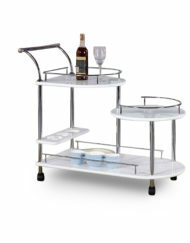 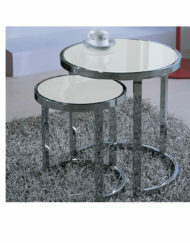 No longer do you have to have two matching side tables, one, two or three different styles work together. 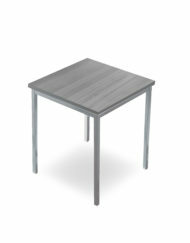 Nesting tables can be separated in the living space and the bedroom – expanding the use of the table surface organization and tucked away when storage and space saving is necessary. 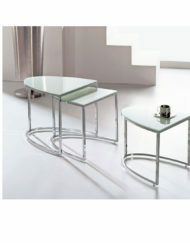 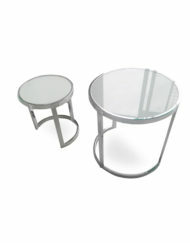 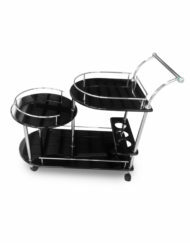 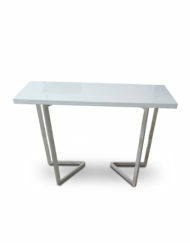 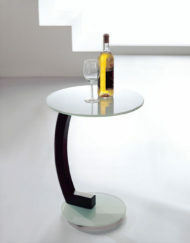 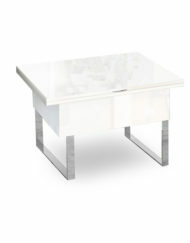 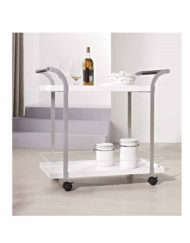 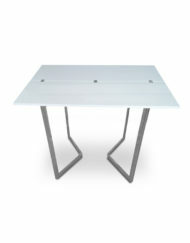 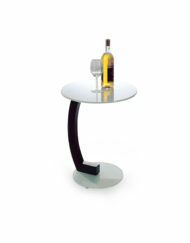 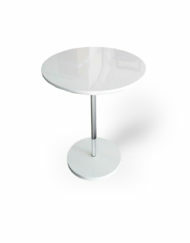 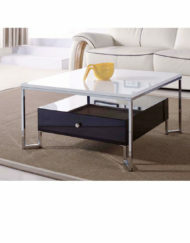 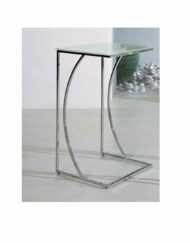 Stunning chrome legs on most pieces and high gloss lacquer or glass finishes make for pleasing eye catchers.